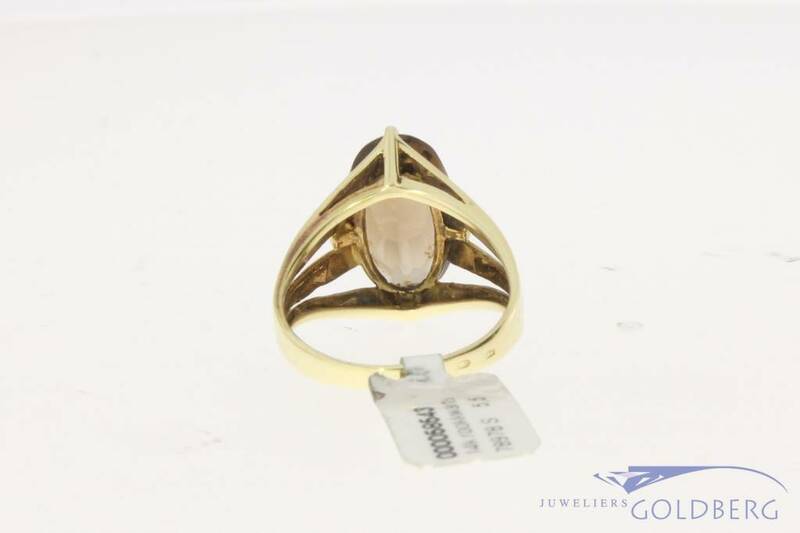 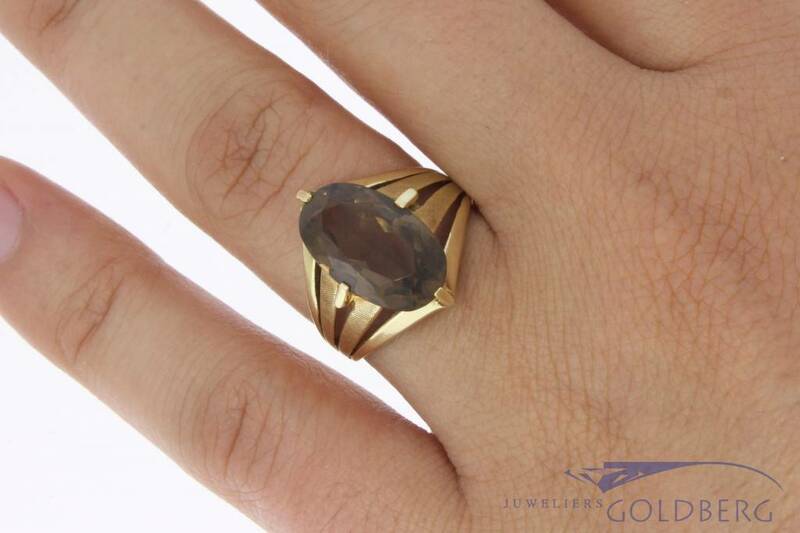 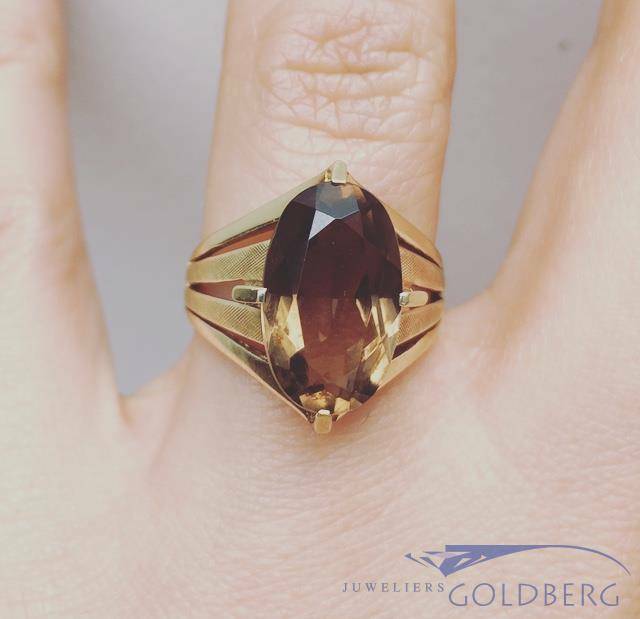 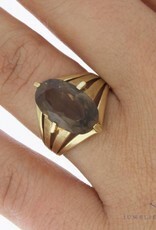 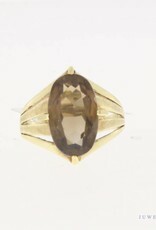 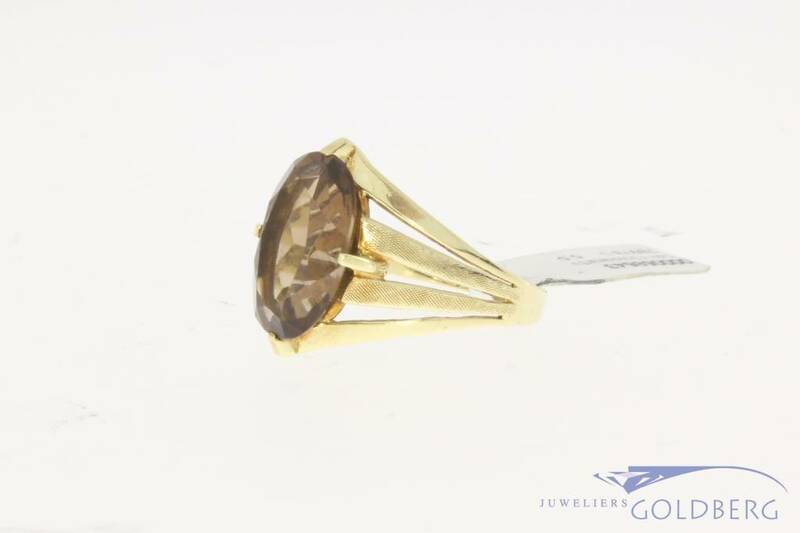 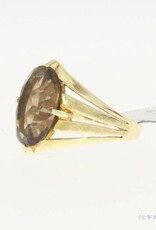 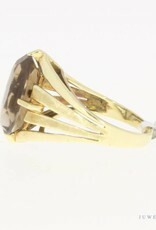 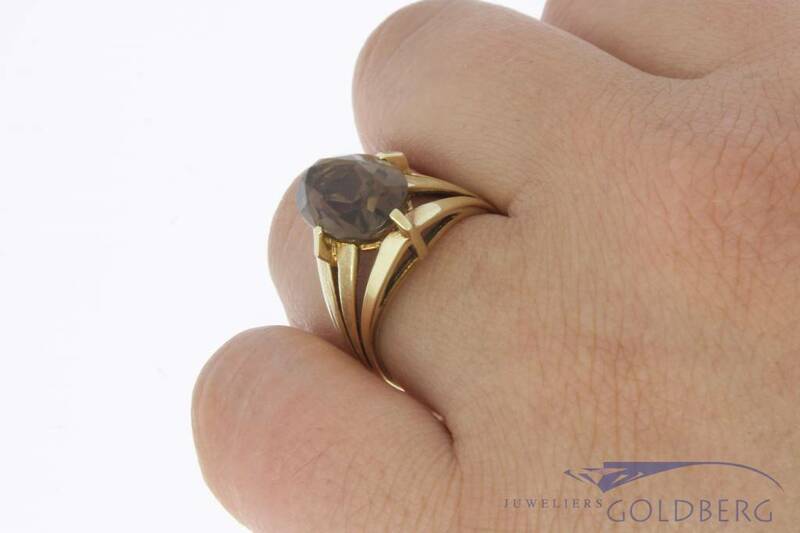 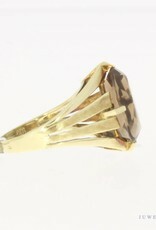 Beautiful and robust vintage 14 carat gold ring with large smoky quartz. 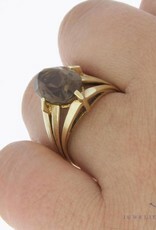 On both sides of the smoky quartz there are 4 bands that meet in a point and (together) form the ring. 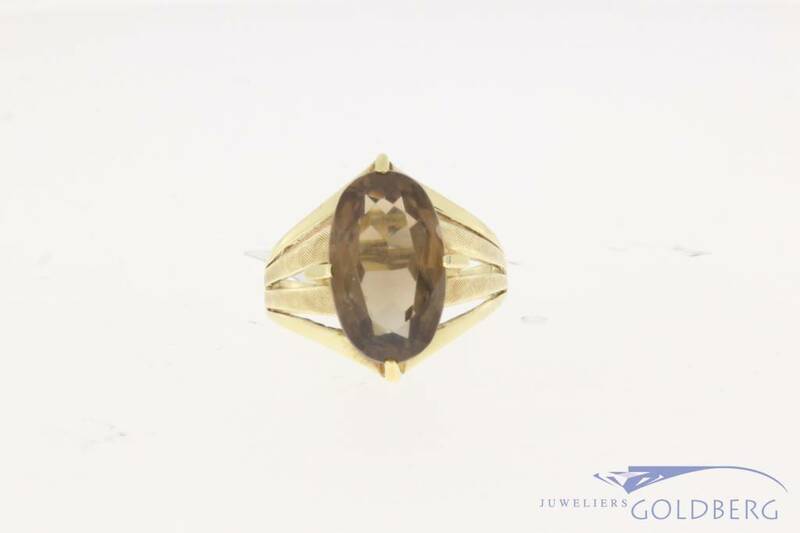 The surface of 4 of these (in total) 8 bands has been treated with a very fine oblique diamond pattern. 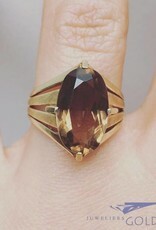 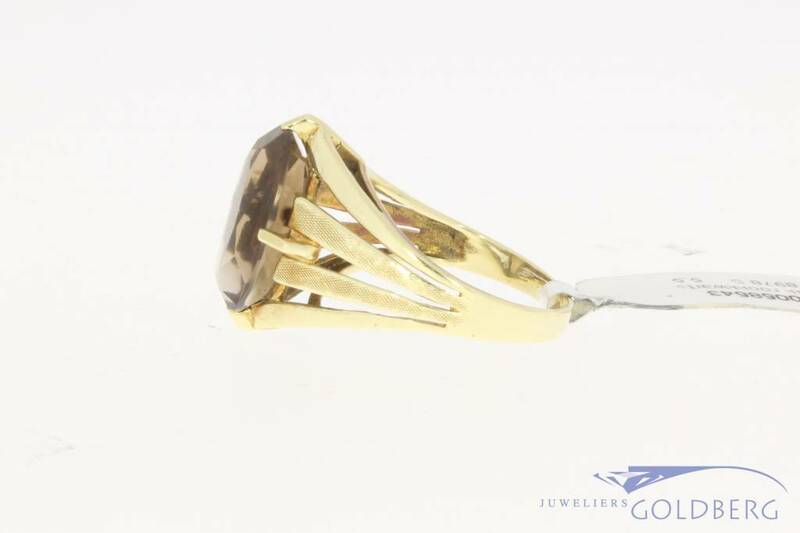 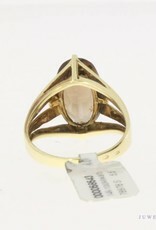 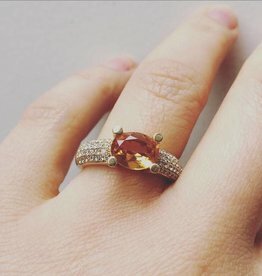 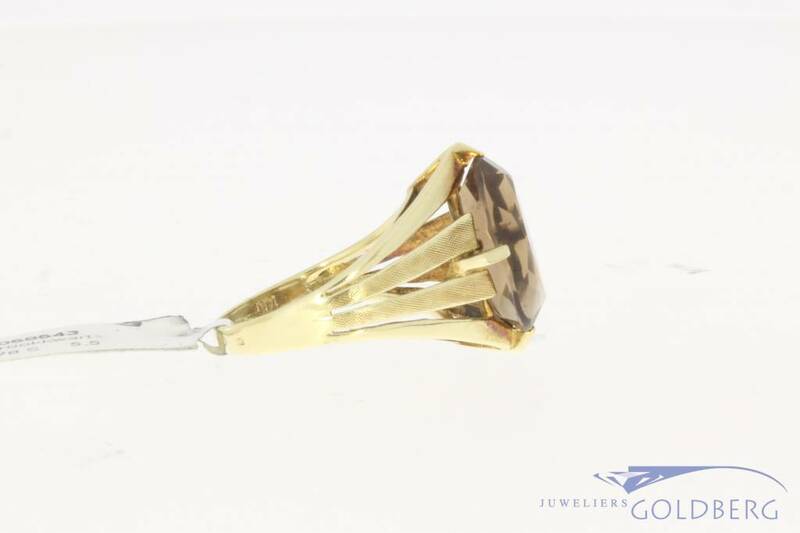 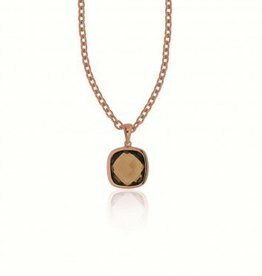 The dimensions of the smoky quartz with setting are approx. 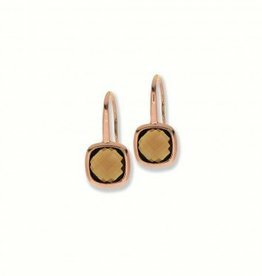 17.84 by 12.90 mm. 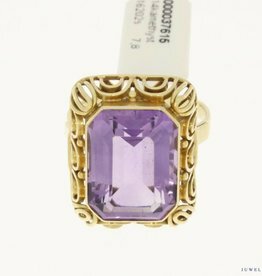 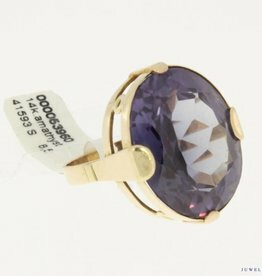 The ring size is 18/57 and the weight is 5.5 grams.